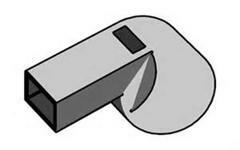 Information regarding officiating within the OLA can be found online at the Ontario Lacrosse website. For referees who are currently 18 or older, you must submit a criminal background check (vulnerable sector screening) This process can take a couple of weeks, so please begin the process immediately. You cannot come to a clinic if you have not applied for your criminal background check. If you're not quite 18 yet, you don't have to do anything except register online for your clinic! The registration portal has an FAQ on criminal background checks, so make sure you read this carefully.